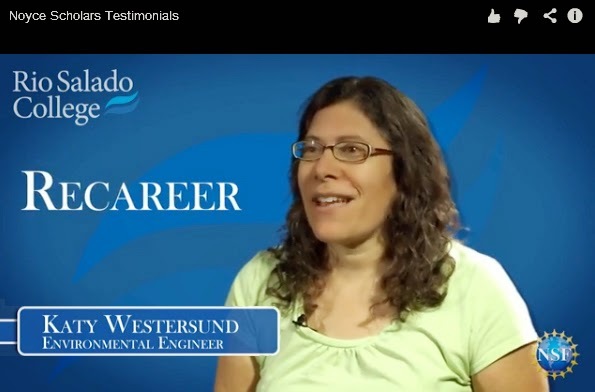 A Rio Salado fast-track teacher program, generous scholarship and help with job placement await 20 STEM (science, technology, engineering and mathematics) professionals who are ready to recareer as teachers, pass on their knowledge and inspire Arizona teens to excel in the sciences. Time is of the essence. The application deadline is July 18. The program provides a $16,500 stipend for a 15-month online program that gives qualified candidates a chance to earn an Arizona Teaching Certificate to teach math and science in grades 7-12. For more information about Rio Salado’s Noyce Scholars program, including application requirements and testimonials from Noyce Scholars, visit http://tinyurl.com/p79js4w or call 480-517-8066. We also suggest you check out this RioNews blog: http://tinyurl.com/odsq5p3 for more insight.